MIO-ECSDE/Act4Drin publication showcasing NGO actions to protect and conserve freshwater ecosystems launched today! 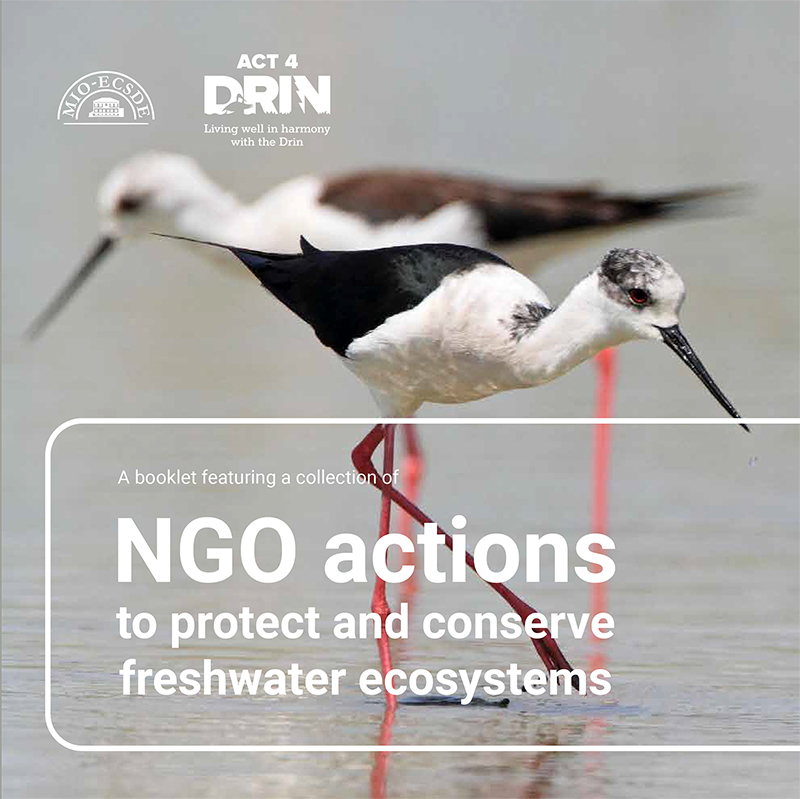 We are very excited to announce today, on the occasion of the World Environment Day, the launch of the Act4Drin booklet entitled “NGO actions to protect and conserve freshwater ecosystems”. It is a tribute to the extent and diversity concrete NGO actions in promoting integrated water resources management and freshwater biodiversity conservation in the Mediterranean. This publication showcases the added value and particular strengths that the NGO community brings to environmental governance, such as leadership, creativity, flexibility, entrepreneurship and capacity for vision and long-term thinking. The publication features a collection of actions undertaken by ALBAFOREST, SPP, MES, DPPVN, MIO-ECSDE/MEdIES, GREEN HOME, PPNEA, INCA, GRASHNICA and MIO-ECSDE. It was developed by MIO-ECSDE (Mediterranean Information Office for Environment, Culture and Sustainable Development – a Federation of 130 Mediterranean environmental NGOs) within the framework of the framework of the Act4Drin project funded by the Critical Ecosystem Partnership Fund (CEPF). Make a difference by making a positive environmental change!